The New York, Susquehanna and Western Railway, also known as the Susie-Q, or simply the Susquehanna, was formed in 1881 from the merger of several smaller railroads. Passenger service, including commuter service from Northern New Jersey to New York City, was offered until 1966. In 1871, the New Jersey Midland Railway, predecessor of the New York, Susquehanna & Western , began constructing a rail line between Newfoundland, NJ and Hackensack NJ. The line was part of a plan to connect with the New York & Oswego Midland (later New York, Ontario & Western) in Middletown, NY and provide rail service from the Great Lakes to New York Harbor. The Susie-Q has had a very interesting past in its 125+ year history. The New York, Susquehanna & Western officially began as a culmination of six small railroads that had been hit hard by the Financial Panic of 1873; the Midland Connecting Railway, New Jersey Midland Railway, Northern Jersey Railway, Paterson Extension Railway, Pennsylvania Midland Railway, and the Water Gap Railroad. These companies dated as far back as the Hoboken, Ridgefield & Paterson Railroad of 1866 and were quite small, serving primarily the region around and just west of New York City in New Jersey and extreme eastern Pennsylvania. The new railroad was to be called the New York, Susquehanna & Western Railroad Company, founded in the summer of 1881 as a means of handling coal from eastern Pennsylvania to New York City. At the peak of the once thriving tourism industry in Newfoundland, passengers could board a ferry at Debrosses Street in New York City and catch a train from Hackensack to Newfoundland to escape the confines of the urban overpopulation of the city. Guests utilized the Susquehanna to frequent to travel to the many resorts that adorned the Newfoundland area. 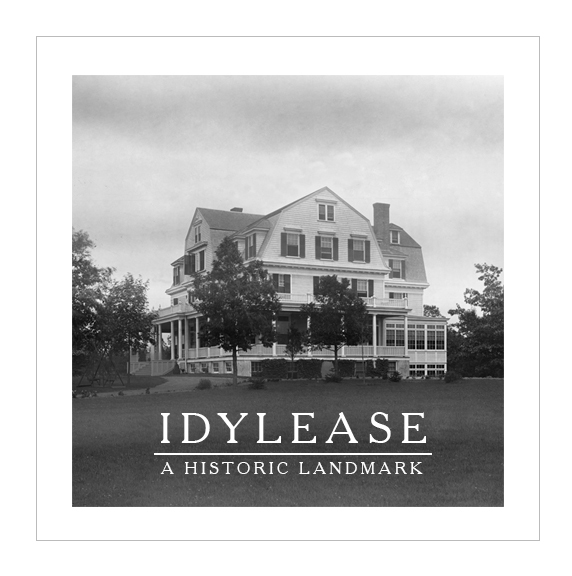 Destinations such as Brown’s Hotel, Idylease and the Green Pond Hotel catered to the burgeoning tourists that flocked to the area for its scenic beauty and heathly climate. The 1920’s also marked the height of passenger service provided by the NYS&W at the Newfoundland Station. Thirteen passenger trains in each direction stopped at Newfoundland Station on a daily basis. Unfortunately, the Great depression struck in October 1929 and lasted well into the late 1930’s and the growth slowed dramatically. In 1937, the NYS&W declared bankruptcy and shortly thereafter was spun off from its parent, the Erie Railroad, which had controlled it since 1898. Also, the mass production of the automobile in the 1930s rendered the railroad someone obsolete with more distant locales such as the Poconos and the Adirondack more desirable to travel by car. Passenger service ceased completely by 1966. 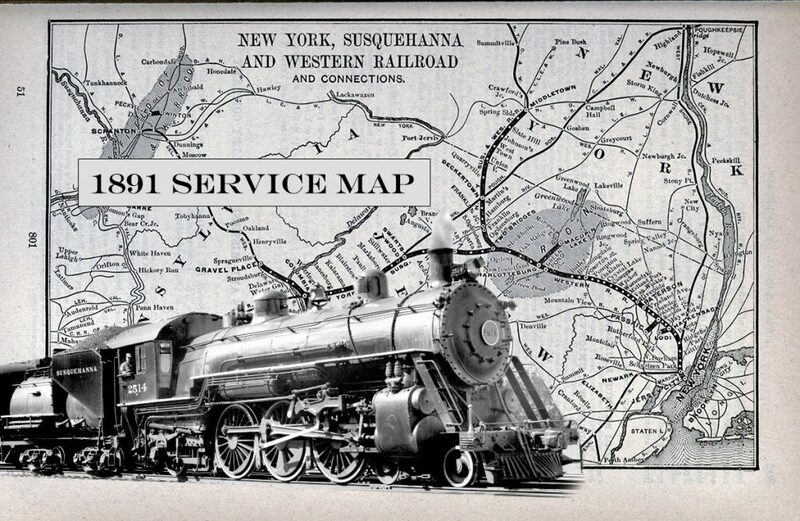 In 1973, a ten mile section of unused New York, Susquehanna & Western Railroad trackage running between Newfoundland and Beaver Lake, New Jersey was leased for an excursion train ride that advertised itself as the great train robbery. (Actors portraying Jesse and Frank James boarded the train from horseback and demanded fake money to give the two masked robbers). The excursion remained successful for a number of years. However, on December 14, 1980 the last two runs from Newfoundland left the station and returned for the final time. The closure was caused by a decline in visitors in the late 1970s, mostly due to national economic declines and the gas shortage, in addition to increasing costs and major repairs necessary to keep the steam locomotives operating. In 2003, The Station Agent an American comedy-drama film written and directed by Tom McCarthy. Was filmed along the former tracks of the Susquehanna in Newfoundland. It stared Peter Dinklage as a man who seeks solitude in an abandoned train station in the Newfoundland. Today, the New York, Susquehanna and Western Railway serves as a freight line with 85 customers and has a diverse traffic base ranging from lumber/building materials, plastics, paper and chemicals to aggregates and food grade products. The railroad also offers the option of bulk transfer facilities. It is now larger, hauls more tonnage, and is more profitable than it ever was at any point in its more than 130 year history.